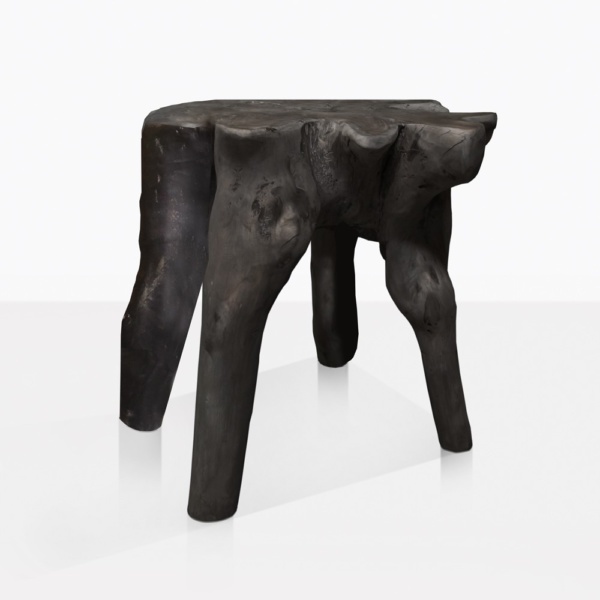 These fascinating accent tables are like nothing you have seen before. Their one-of-a-kind shape is eye-catching, and it begs for further inspection. Each Oro Side Table is unique. 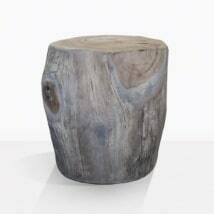 They have been artfully carved from a teak tree trunk and shaped into a very organic and freestyle side table. The teak is stained with a striking black color, and when you look closely, you can still see some of the grain and natural texture of the wood. 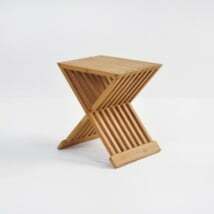 These tables either come with three or four legs and are sturdy to function as a side table. We love the free form of these tables. They are natural and works of art by nature and finished with excellent craftsmanship. Place these tables indoors or out; they will add a wonderful flavor to your look. 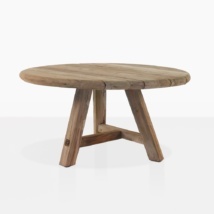 Visit our showroom in Parnell to see these tables in person and pick up your favorite one! Please note that each one is different and they will vary slightly in size, shape, and hue.